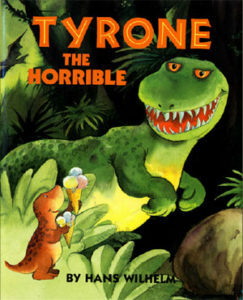 Tyrone, the horrible is the story of a little dinosaur who struggled immensely due to bad attitude of the big dinosaur, Tyrone. This story is put together in a colorful format in an eBook with pictures carrying beautiful emotions. Boland is a young dinosaur and he had many friends in his region. In fact, this little Dino used to play with all young dinosaurs, except one. He is none other than Tyrone. Tyrone’s a bad and big dinosaur, who is still a baby! But he belongs to a different species. He looks so huge like a giant, which made him appear like an adult dinosaur. Tyrone always trouble Boland. He used to cheat Boland and follow him everywhere. Very irritatingly, Tyrone had a bad habit of stealing Boland’s food. Boland was scared of the giant Tyrone and used to share his annoyance with his friends. In order to befriend Tyrone, one day Boland gave him two ice cream cones. The wicked Tyrone threw the cone on Boland’s head. Tyrone was stumbled at his act. He felt so sad and cried. In pain he walked to his friends. His friends consoled him and asked him not to worry. Tyrone continued to trouble Boland, cheat him and steal his food. Boland tried to hide from Tyrone, but all his efforts failed. He couldn’t hide from Tyrone. Boland has sleepless nights, thinking about Tyrone and his rude behavior. As advised by his friends, Boland decided to ignore the bullying words and acts of Tyrone. One day, as usual, Tyrone followed Boland and started his annoying acts. 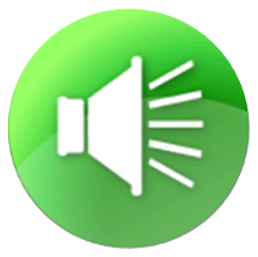 Boland acted he heard nothing and didn’t see Tyrone. Boland was shattered when Tyrone hit him with his huge tail when he was about to eat the sandwich. He grabbed the sandwich and swallowed it in a gulp! Boland left the place with tears. While later, when Boland was about to have a sandwich, Tyrone grabbed it from him. While he was swallowing it, he felt so much hot and spicy inside his mouth and throat. Boland put hot red peppers inside the sandwich to teach Tyrone a lesson. Tyrone then stayed away from Boland and never troubled him. Tyrone’s a big and bad dinosaur. He lives somewhere. Now, the eBook is designed with beautiful and colorful pictures of dinosaurs. The emotions of the dinosaurs are nicely illustrated. It is an easy and good read. Don’t get scared of your enemies even if they are stronger. Bad deeds deserve a punishment; rather they are punished by themselves for being rude and wicked.